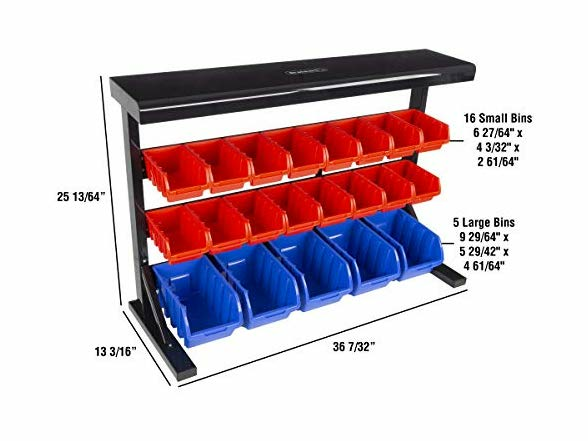 The 21 Bin Storage Rack by Stalwart is an excellent organizational solution for your garage, home, or office. Constructed from strong and durable polypropylene, these storage bins are made to last and can be mounted on the wall for added convenience. 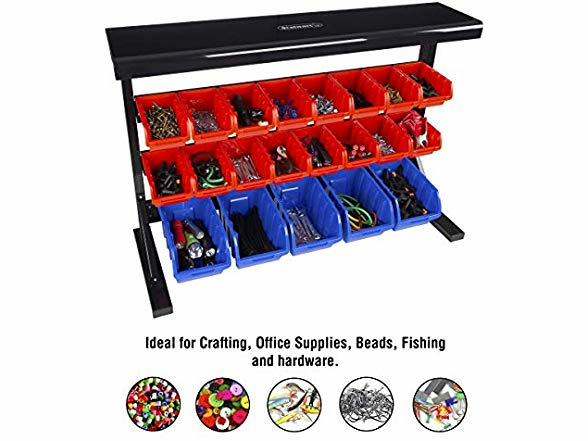 With 5 large bins and 16 small bins, you can easily store and organize anything from parts, hardware, office supplies, and fishing tackle, to crafting materials, beads, or jewelry. It’s the perfect option to keep your gear or accessories neatly sorted and tidy. 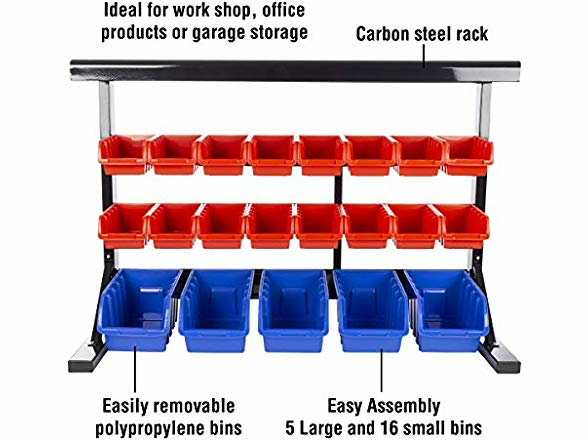 IMPACT RESISTANT MATERIAL- Constructed from strong and durable polypropylene plastic and carbon steel, these storage bins are difficult to damage or break. They are rust resistant and made to last! 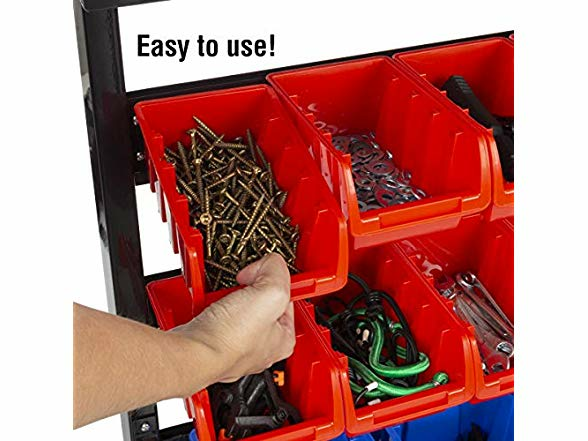 MULTI-PURPOSE- The 21-compartment (5 large, 16 small) storage container is the optimal solution for storing and organizing everything from fishing tackle, office supplies, hand tools, nuts, screws, and bolts, to crafting materials, beads, or jewelry. 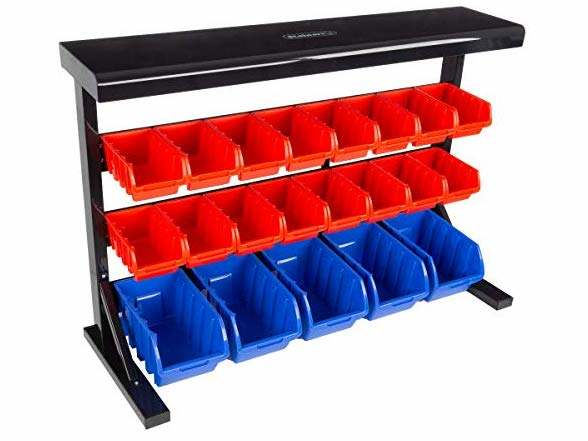 VERSATILE- These bins are perfect for use in multiple areas and work for the garage, office, shed, or workshop. 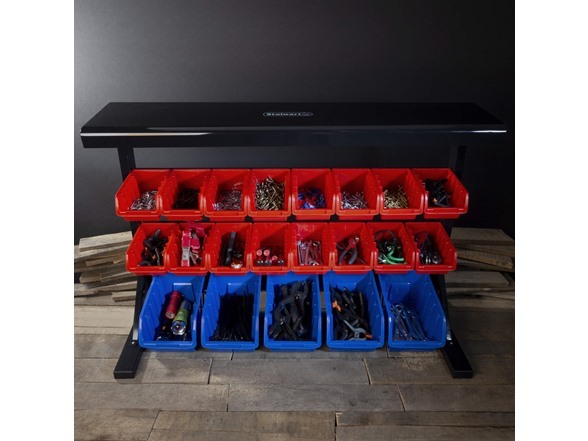 It’s the perfect organizational container to keep accessories, hardware, tools or parts neatly stored and tidy. PRODUCT DETAILS- Material: Polypropylene plastic and carbon steel rack. Overall Dimensions: Length 36 7/32", Width 13 3/16", Height 25 13/64". 5 Large Bins 9 29/64" x 5 29/42" x 4 61/64. 16 Small Bins 6 27/64" x 4 3/32" x 2 61/64.